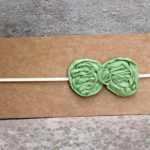 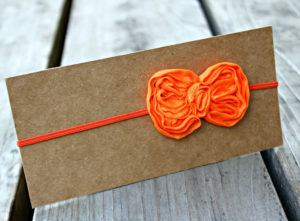 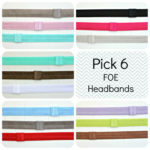 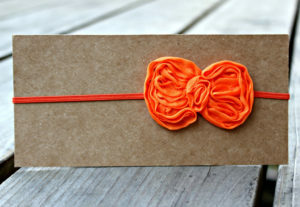 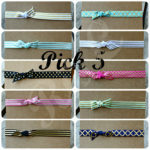 One Skinny Elastic Headband with an Orange Shabby Bow. 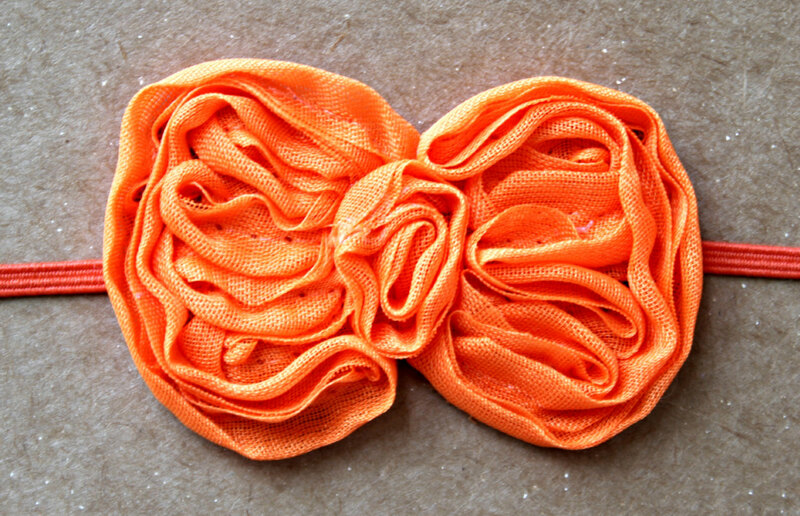 The orange skinny elastic is 1/8″ wide and the bow is about 2 1/2″ by 1 1/2″. 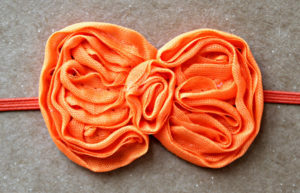 Bow is backed by soft felt so it won’t be itchy on your child’s head.